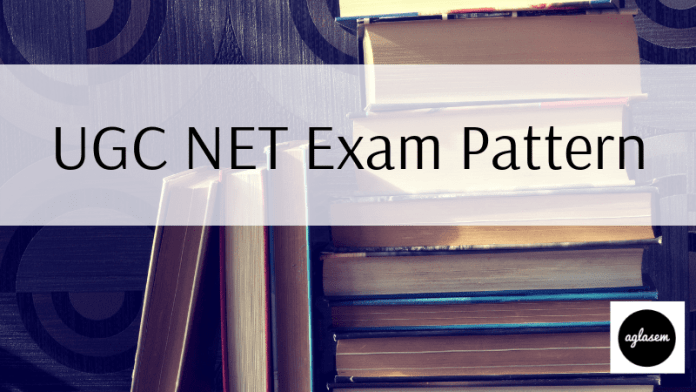 UGC NET Exam Pattern 2019 – The aspirants of UGC NET requires the exam pattern. UGC NET June 2019 is being conducted by the NTA. The NTA conducts the 2 Papers (Paper 1 and Paper 2) for UGC NET 2019. The mode examination will be online. Some slight changes have been made by the NTA in the exam pattern and syllabus of UGC NET. The paper I is of 01 hours and the duration of paper II is 02 hours. Earlier there was a break time of 30 minutes between both papers. Now both papers will be held continuously. Get here all the details of UGC NET Exam Pattern 2019. Exam Pattern plays a vital role at the time of preparation for the examination. Candidates should go through the exam pattern and previous year question papers of UGC NET before starting the examination preparation. For more details regarding UGC NET, 2019 candidate can see the below-mentioned schedule. To better understand the exam, attempt UGC NET Mock Tests. The paper I is common for all the candidates who appear in the examination. All the questions in the paper I are compulsory. The language of the question paper will be in English and Hindi. From the below-mentioned information, the candidate can see the full information regarding the UGC NET 2019 Paper 2. The paper 02 is elective in UGC NET the candidates have to choose the subject for which he/she wants to appear in the exam. Read UGC NET Admit Card 2019 to know exam day instructions. Examination timings are given in more detail in it. Before appearing in the examination, one should have the proper knowledge about the marking scheme of paper. Candidates are informed that UGC NET 2019 Exam Pattern states that is a candidate is attempting any question correctly then they will be awarded 2 marks for each correct question. There is no provision for negative marking in UGC NET. On the record of an incorrect answer, no marks will be deducted for the candidate’s account. Also for the unattempted answer, there will not by any marks. You need to be in top 6% of all candidates who appear in both papers in order to clear cut off of UGC NET. This marking scheme is useful just after exam. After the exam, you can go through UGC NET Answer Key 2019 to predict your score. Candidates with 40% or more Disability will be given 20 minutes of compensatory time for Paper – I and Paper – II. The candidates who are not is the stage of writing can avail the scribe by making the prior request, they have to request before a week. The request have to be submitted in writing form to the concerned Centre Superintendent. For visually impaired candidates, there will be no provision of Test Booklets in Braille. An amount of Rs. 1000/- will be paid to the scribe by the Centre Superintendent on the day of examination for all papers. For doing the preparation of the examination candidates should know about the syllabus because without the help of syllabus candidate cannot estimate what subjects and topics to be covered for the exam. Syllabus helps the candidate for identifying the topics to be prepared for the examination. For different UGC NET Subject, the different syllabus will be there. With hard work and dedication, you score high in any subject. Prepare in a goal-oriented manner. Best of luck for your UGC NET Result 2019! Subject and respective codes are given below.